2.14 Meiosis includes two cell divisions. In this figure, the original cell is 2n=4. After two meiotic divisions each resulting cell 1n=2. includes a cell division. The first division is termed the reduction division because the number of chromosomes per cell is reduced by half ( FIGURE 2.14). 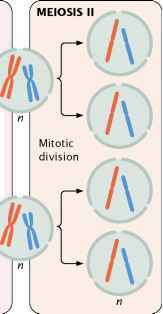 The second division is sometimes termed the equational division because the events in this phase are similar to those of mitosis. However, meiosis II differs from mitosis in that chromosome number has already been halved in meiosis I, and the cell does not begin with the same number of chromosomes as it does in mitosis (see Figure 2.14). 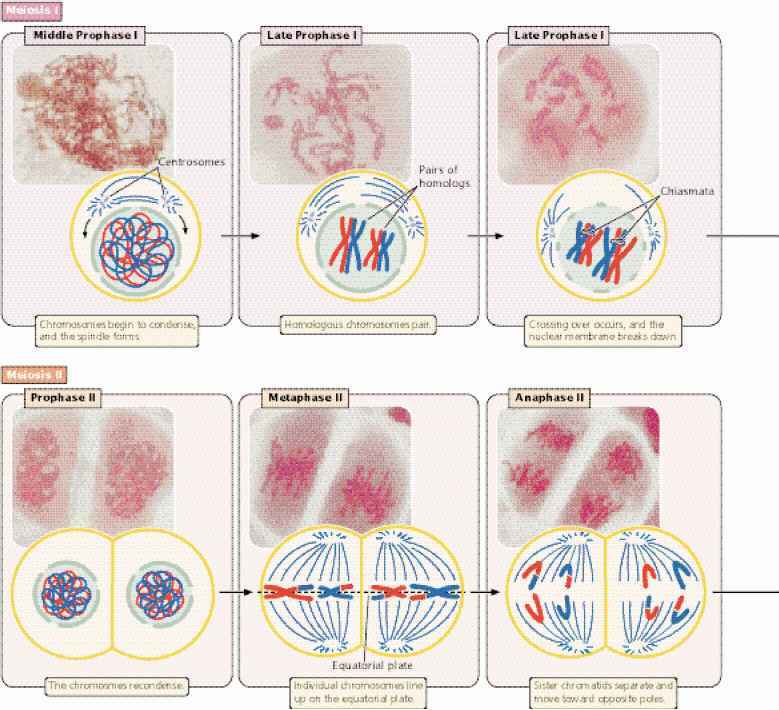 The stages of meiosis are outlined in FIGURE 2.15. During interphase, the chromosomes are relaxed and visible as diffuse chromatin. Prophase I is a lengthy stage, divided into five substages ( FIGURE 2.16). In leptotene, the chromosomes contract and become visible. 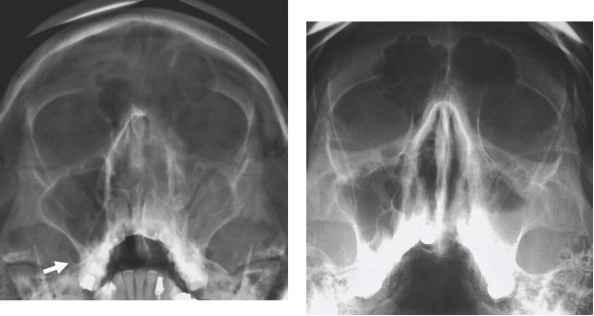 In zygotene, the chromosomes continue to condense; homologous chromosomes begin to pair up and begin synapsis, a very close pairing association. Each homologous pair of synapsed chromosomes consists of four chromatids called a bivalent or tetrad. In pachytene, the chromosomes become shorter and thicker, and a three-part synaptonemal complex develops between homologous chromosomes. Crossing over takes place, in which homologous chromosomes exchange genetic information. The centromeres of the paired chromosomes move apart during diplotene; the two homologs remain attached at each chiasma (plural, chiasmata), which is the result of crossing over. In diakinesis, chromosome condensation continues, and the chiasmata move toward the ends of the chromosomes as the strands slip apart; so the homologs remained paired only at the tips. Near the end of prophase I, the nuclear membrane breaks down and the spindle forms. Metaphase I is initiated when homologous pairs of chromosomes align along the metaphase plate (see Figure 2.15). A microtubule from one pole attaches to one chromosome of a homologous pair, and a microtubule from the other pole attaches to the other member of the pair. Anaphase I is marked by the separation of homologous chromosomes. The two chromosomes of a homologous pair are pulled toward opposite poles. Although the homol ogous chromosomes separate, the sister chromatids remain attached and travel together. In telophase I, the chromosomes arrive at the spindle poles and the cytoplasm divides. hru V.:! r.! !i Hfl ft* i'. ^ O if. :: ■ ind .yJapjTfn -. ::■■.